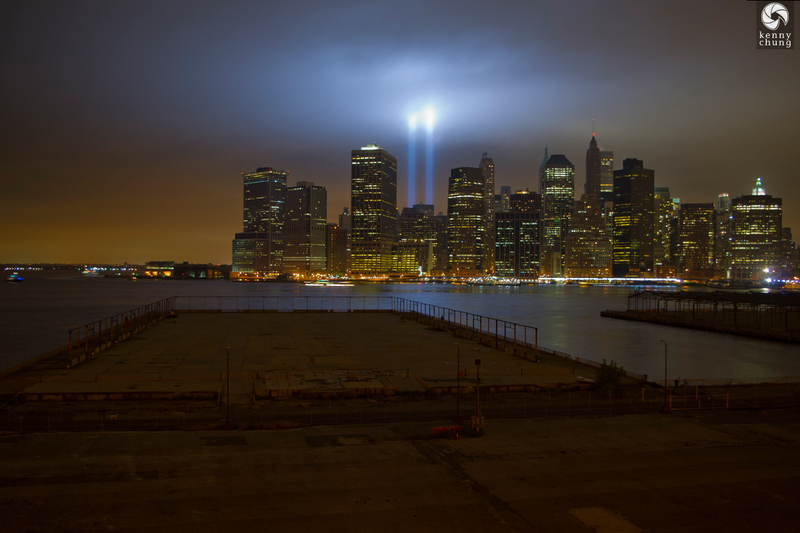 The Tribute in Light is an annual memorial to the victims and heroes of September 11th, 2001. 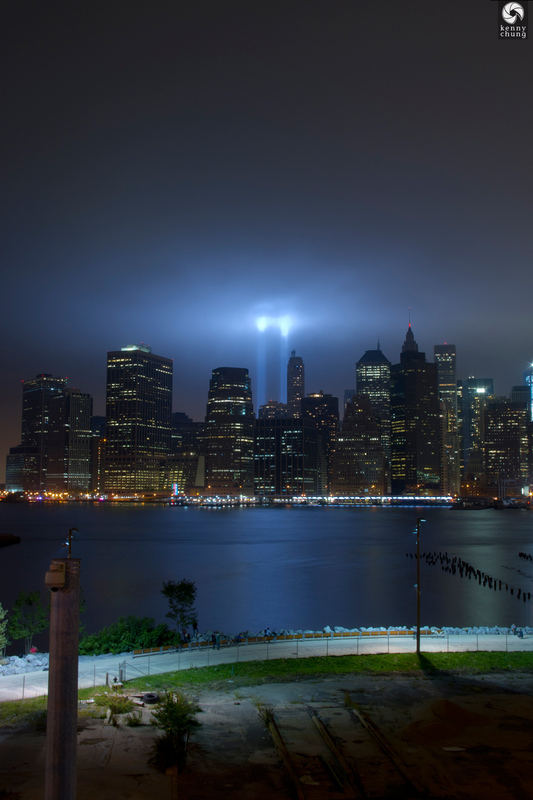 2011 marked the 10 year anniversary of the day that changed America forever, so the lights were especially poignant for me as a native New Yorker. 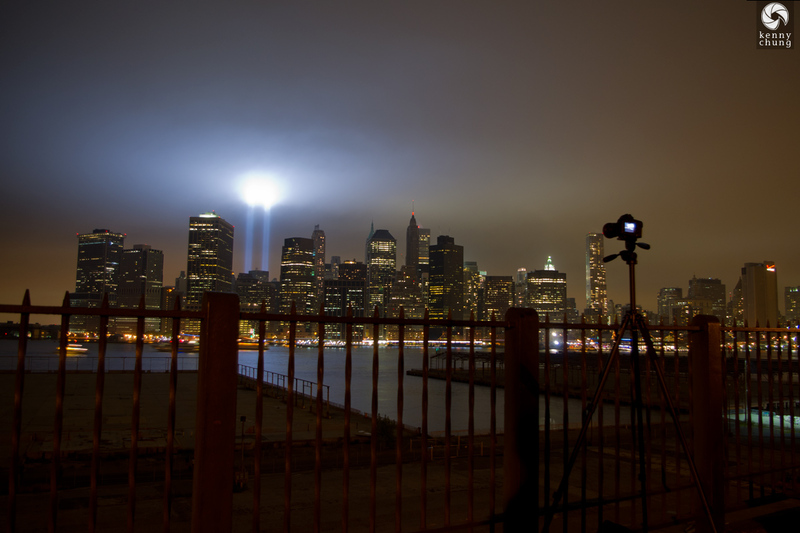 Many other photographers had the same idea as me, taking advantage of the always beautiful view of the Manhattan skyline from the Brooklyn Heights Promenade. 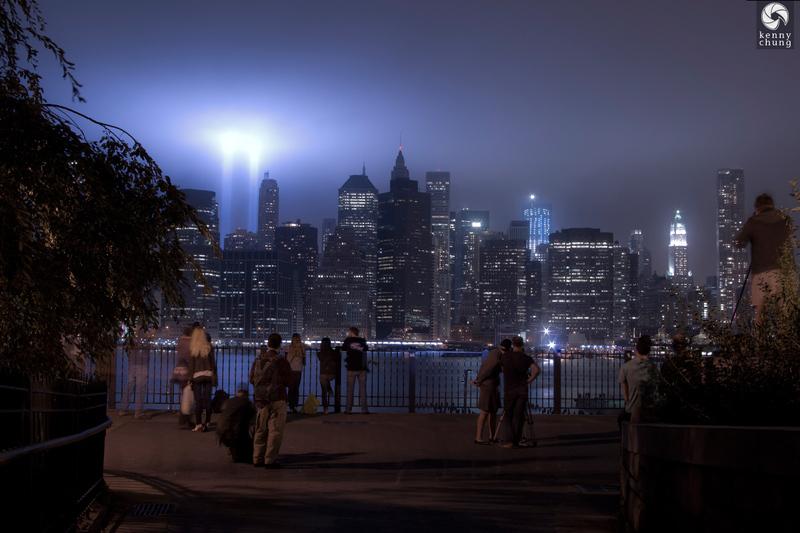 Tribute in Light across the East River with a view of the former Brooklyn Port Authority Piers, which will soon become part of the Brooklyn Bridge Park. A picture of someone else's picture. 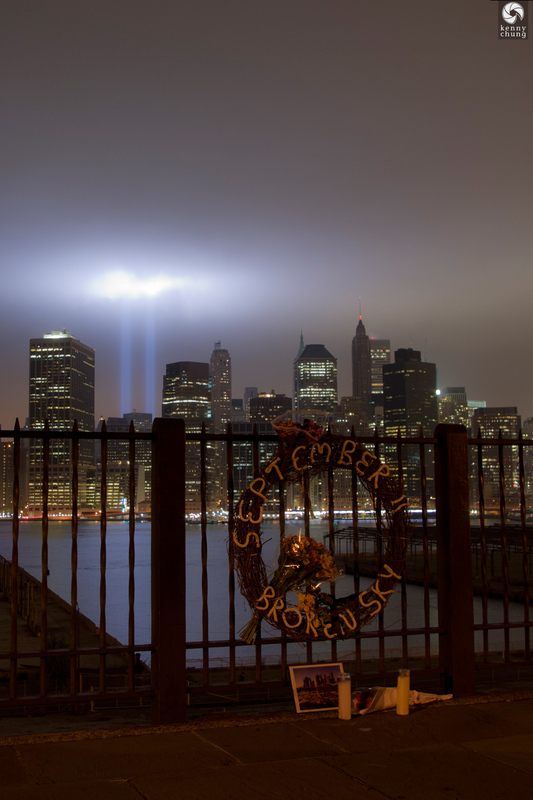 A memorial wreath with the words "September 11 Broken Sky" above candles, flowers, and a photograph. 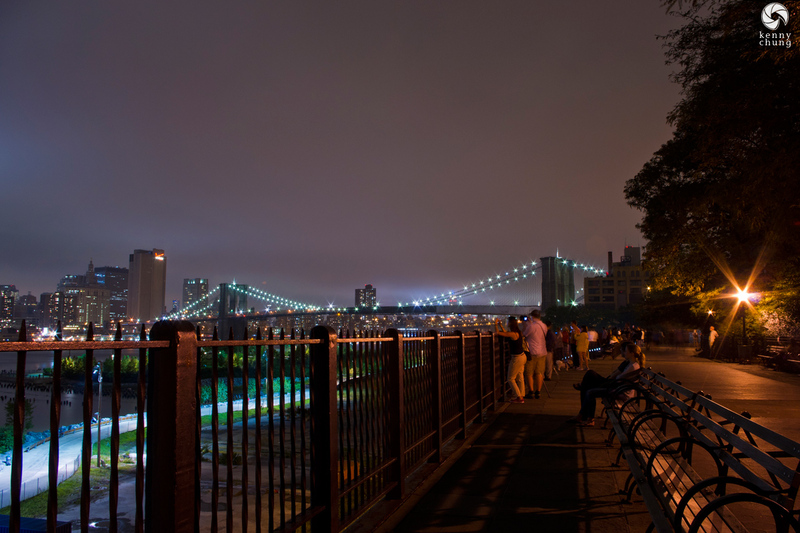 A view of the Brooklyn Bridge from The Promenade. Another view of the demolished warehouses on the pier making room for the Brooklyn Bridge Park. 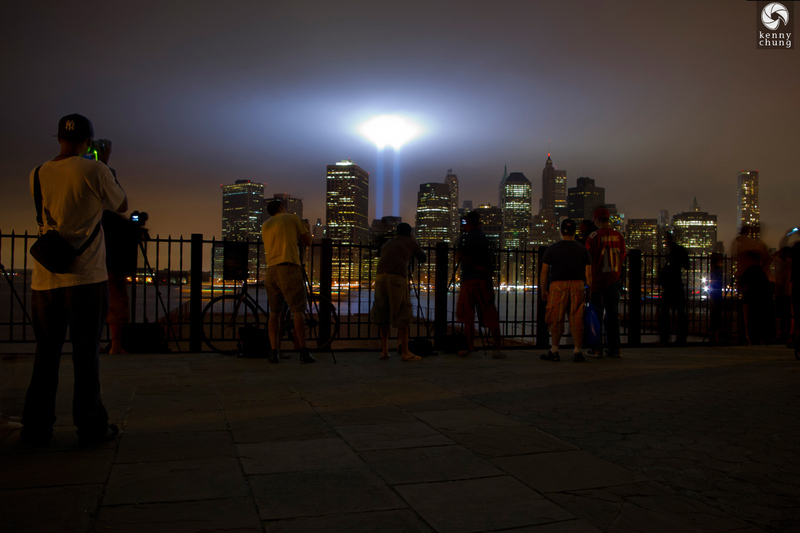 Reaching the far end of the Brooklyn Heights Promenade, there was a news team filming a story, a photographer perched atop the garden wall, and some other people just taking in the experience.